The long term effects of school yard bullying are hotly debated. Due to enormous variables, very few studies can provide consistent information on clear long term outcomes after school yard bullying. However, the short term outcomes are far better documented, can be extremely severe, and include low self-esteem, poor academic progress, depression, and even suicide. The bully assesses the characteristics of everyone in their class or social circle. They’re most likely to target those they dislike, feel are competition or are quiet and timid. 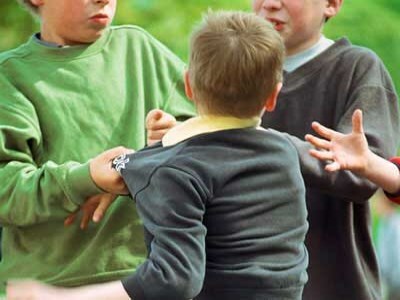 Early actions by the bully may include bumping into someone on purpose or knocking their book over. It may seem innocuous. If the target doesn’t respond or seems embarrassed/timid, they may be considered a potential victim. Now the real conflict begins. It’s most likely to be a direct physical or verbal altercation. If the bully is pulled up over the altercation, it may be explained away as “just having a bit of fun”. The classic bully’s defence, “Can’t you take a joke?” may be bandied about. Once successful at stage three, the bullying will reach new heights. It will be frequent and can take on one of three forms: direct physical, direct verbal or indirect. The bully may also recruit others at this stage. The peer group is likely to remain passive on the whole for fear of being the next target. The person being bullied is likely to lose confidence, struggle academically, and avoid social situations. Those who are bullying feel powerful and, as they get older, may learn to commit other antisocial acts. Bystanders are now victims of their own inaction and may feel powerless in an unsafe and frightening world. In the next article we will explore strategies to overcome bullying. Stevenson - founder and MD of Extend Before and After School Care - has over 25 years of experience as an educator in Australia and the UK.